Tracey Pridgen, Owner/Electrician/Home Improvement Contractor at Tee Pee Entity, LLC, is selected for her outstanding leadership and commitment within her profession. CHICAGO, April 24, 2018	(Newswire.com) - The International Association of Women (IAW) honors Tracey Pridgen as a 2018-2019 Influencer of the Year. She is recognized with this prestigious distinction for leadership in entrepreneurship. The International Association of Women (IAW) is a global in-person and online networking platform with nearly one million members, 1000+ in person and virtual events, over 100 Local US-based Chapters and International Chapters in several cities in China. Self-motivated and results driven to succeed, Tracey Pridgen is a seasoned professional who has constantly set her goals to keep pace with her highest aspirations for personal excellence. Throughout her career, she has exhibited exemplary teamwork, expertise, integrity, and dedication. Ms. Pridgen is the Owner of Tee Pee Entity, LLC, a construction company based in Brooklyn, NY. In her role as Owner, as well as an Electrician and a Home Improvement Contractor, Ms. Pridgen is responsible for managing the day-to-day operations of the company, which provides an array of construction services, including construction- framing, electrical, plumbing, HVAC, flooring, landscaping, roofing, painting, masonry and drywall/insulation. Being a woman-owned business and working in a male-dominated industry has its challenges but Ms. Pridgen uses the skills she has honed in construction and business to successfully run her company, manage her staff and communicate with clients. She is excited to continue to grow her company in the future. 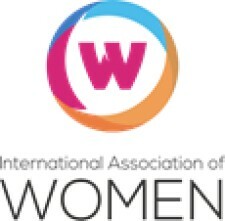 The International Association of Women (IAW) is a global in-person and online professional networking platform that provides nearly one million women with the forum, education, and services to thrive in an interconnected world.